Quite the perfect excuse, really, to buy myself a bottle of Madame Pearl’s Cough Syrup. How could anyone have resisted the vintage packaging which appears not to have changed much since 1954, those to-die-for fonts and contrasting pop colors ? 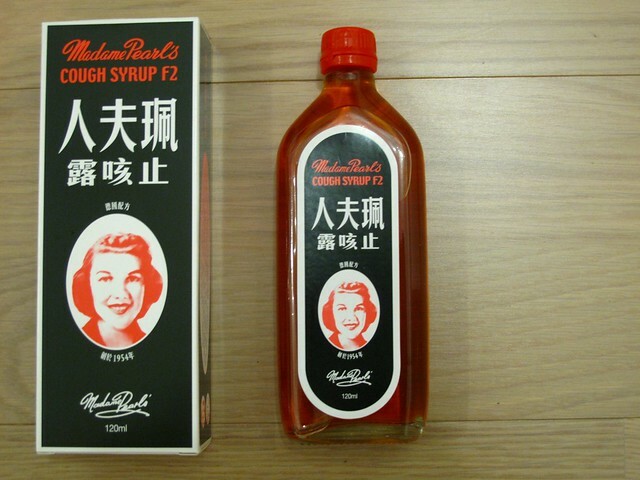 Apparently it’s also Hong Kong’s best-selling cough syrup brand, or so its website claims. looks amazing!!! how does it taste?! Yeah ! Yummier than most cough syrups, not overly sweet and no nasty aftertaste ! WAH! I think I’d be “happy” being sick if there’s such cool meds. How does it taste like? Euphemia – Not as nasty as most cough syrups, and the best thing, it works ! 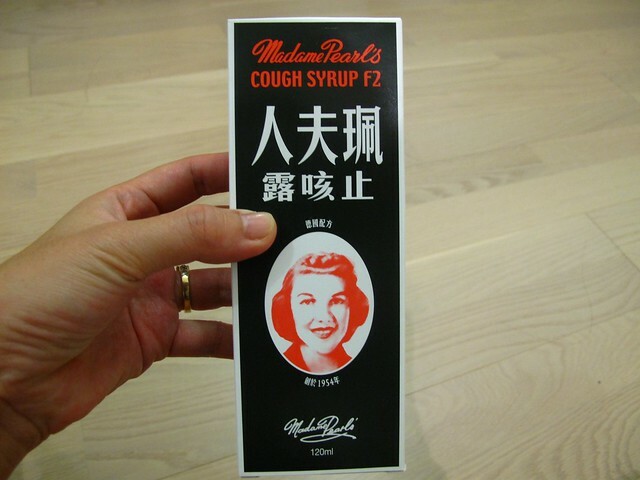 Gonna stick to this as my go-to cough med in Hong Kong. are you ok? it must be heavy flu season now… saw lots of people in masks with heavy symptoms in tokyo. but i’m so glad that the cough med works… judging a book by its cover is not so bad eh? it seems to be a disease of mine that cannot be cured. not too often do i hear that a cough medicine works, now that i think about it. 🙂 feel better! btw, you’ll make a great graphic designer, like your sensibility. luzette – I’d recovered soon after drinking the syrup. Yeah coughs sometimes are annoying, especially those that persist for weeks and months at a go. Maybe you should stock up on Madame Pearl’s next time you are in town !